We’re looking for talented new makers to join our store! Do you make and sell your own products? 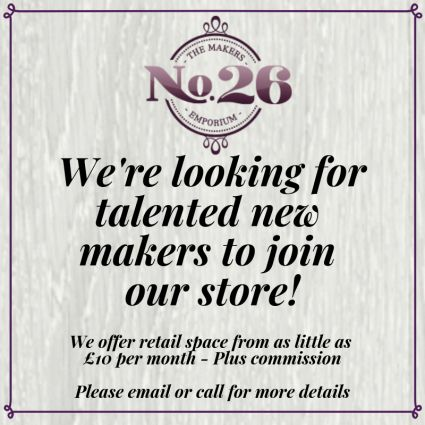 No.26 The Makers Emporium, Rotherham are on the lookout for talented new makers in the local area. Since opening in April 2014 we’ve worked with and supported over 100+ local makers and business helping them to learn new skills, develop product ranges and sell their products to a wider audience in a professionally managed and fully staffed retail unit. We currently offer space from as little as £10 per month – Plus commission. 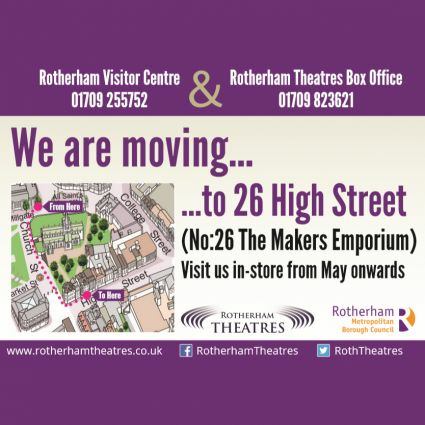 Rotherham’s Visitor Centre and Civic Theatre Box Office are relocating to the Makers Emporium in High Street this month, in a move set to benefit both businesses. The Visitor Centre and Box Office will take retail space within 26 High Street, sitting alongside the popular retail venture where local artisans, crafters and makers come together to provide quality homeware, clothing, jewellery, accessories, artwork, gifts and textiles. In addition to offering a range of Rotherham and Yorkshire souvenirs, the Visitor Centre promotes attractions and events around the borough, sells tickets for performances at the Civic Theatre, and has a large reference collection of area and accommodation guides, maps, and books on special interest holidays. Damien Wilson, Strategic Director of Regeneration and Environment at The Council said the move made perfect sense given the complementary services provided by the two businesses, and will help to secure the long-term future of the Visitor Centre in the town. He said: “Local authorities are under continuing financial pressures and as the lease on the Bridgegate building was coming to an end, the Council took the opportunity to assess various options for where the Visitor Centre could go. Moving the Visitor Centre and Box Office will not affect the services currently offered or staffing levels.